If you change your mind about the product when you receive it The Consumer Rights Act (CRA) 2015 gives you the right to return anything purchased on the internet or by phone within 30 days of delivery for whatever reason. Providing the Goods are unused, complete and in the original packaging. Your right to cancel does not apply to SCH products where the are built and supplier to order. You must obtain a returns reference number before returning the item to us. Use the contact form . Next, please click to PRINT YOUR RETURNS FORM. In some instances, we may request goods to be returned to the UK distributor or manufacturer, in which case please use the return address included in your email. We do have to charge for return delivery, unless the item was delivered in error or is defective. So we do ask that you pay for the cost of sending it back. PLEASE NOTE: THAT IF YOU WRITE ALL OVER THE PRODUCT PACKAGING THEN THE PRODUCT MAY NOT BE IN RESALEABLE CONDITION AND YOU WILL NOT BE REFUNDED. For small item deliveries that arrive with carriers, you agree to open all boxes and thoroughly check the goods for damage on the day of delivery and notify us of any damage within 24 hours of the delivery. 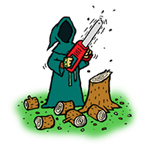 If we are not notified of damage within 24 hours we are unable to claim from either the manufacturer or the carrier. You agree to indemnify us in full for any losses we suffer as a result of your failure to notify us. For bulky deliveries that arrive on pallets you agree to check the goods for damage before signing the driver's delivery note. If you sign for the goods, even if you write the words "Unchecked" or similar on the delivery note, then you are accepting that the goods arrived in good condition and later claims for damages will not be considered. If someone else is signing for the goods on your behalf, you agree to advise them that the goods must be checked and you accept full responsibility for any loss or damage if they sign on your behalf and fail to check. All products come with a manufacturer's warranty, details of which are listed on each product page. 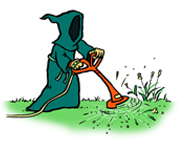 In the unlikely event that your purchase develops a fault within the warranty period, The Green Reaper will refer you to your local specialist dealer for the brand where the product will be examined by their qualified technicians and repaired in accordance with the warranty conditions. 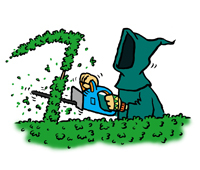 Details of your nearest warranty AND service dealer can be obtained from the manufacturer or please email customerservices@thegreenreaper.co.uk. We process refunds as soon as possible but no later than 14 days of us agreeing to your refund providing your goods are returned to us. You are responsible for looking after the product until we collect it. Any refunds due should appear on your card statement or in your PayPal account within 2 working days. Please note that refund times are dictated by the card issuers and are outside our control.